Incorporating the real-world needs of racers and street car enthusiasts, UUC's "rationalized" brake package that uses premium Wilwood Engineering components for better braking, lighter weight, and idealized front/rear brake bias, all in an affordable package with the largest offering of performance street and race pads available. Our 4-wheel kit features a 2-piece 345mm front drilled and floating rotor with 6-piston caliper and rear 328mm drilled and floating rotor with 4-piston caliper. Standard caliper color is black with optional red calipers. All kits include stainless steel brake lines, street performance pads, and all brackets and hardware required for installation. 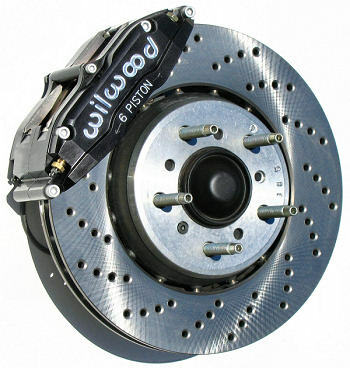 From its inception in 1977, Wilwood Engineering has been at the forefront of high performance disc brake technology. Wilwood calipers are found in virtually every professional and motorsports arena, and often found in the winner's circle. Wilwood incorporates a variety of innovative and time proven performance enhancements in its caliper designs. 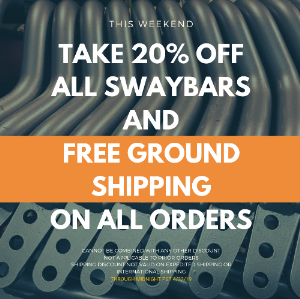 They include radial mounting, differential piston bores, high temperature seals, SRS Squeal Reduction and bridge reinforcement plates, internal heat shields, quick access pad retention, shock dampened fluid tubes, and center bridge bolts (features vary by model). The Superlite series of Wilwood calipers integrates "Big Brake" style and Wilwood's latest technology. Each caliper is precision CNC machined from high strength billet or forged aluminum. The key to the superior performance of the Superlite caliper comes from the extremely durable, efficient and lightweight body design. At about 4lbs 10oz., it is the product of computer generated solid modeling and FEA stress analysis technology. Full length stiffening ribs and a reinforced radial transition from the piston bore housings to the closed end bridges have produced the strongest Superlite caliper bodies ever built. When compared to open bridge calipers that use tube or stand spacers between the body halves, the closed end bridge design is measurably stronger with less separation or deflection under load. Additional strength and resistance to deflection comes from the four high-strength steel end bridge bolts. A fifth center bridge bolt provides even more overall strength and easy access to the pads without the need to remove the caliper from the mount. The 4-piston variant of the Superlite is legal for various SCCA and BMW CCA classes that limit piston count. The 6-piston variant has the same "hydraulic footprint" (meaning pedal effort is the same), but has a unique six-piston differential bore configuration provides balanced loading for even pad wear in sustained high heat environments. All variants feature pistons made from stainless steel pistons, used for its slow heat transfer properties and high resistance to corrosion. Cooler temperatures translate to longer service life and less chance for heat induced pedal fade. In addition, each Superlite is equipped with SRS bridge plates. SRS plates eliminate all bridge wear caused by pad gouging and extend the service life of the caliper. The spring-loaded action of the SRS plates also eliminates pad rattle and dampens the harmonic vibrations that contribute to pad squeal. Two piece bleed screws and dampened fluid tubes are recess mounted to shield them from track debris and other potential damage sources. High temperature, square faced bore seals provide the largest possible sealing area and controlled piston retraction on release. The full range of Wilwood pad compounds is available to match the brake response and heat range of any competition or sports driving application. 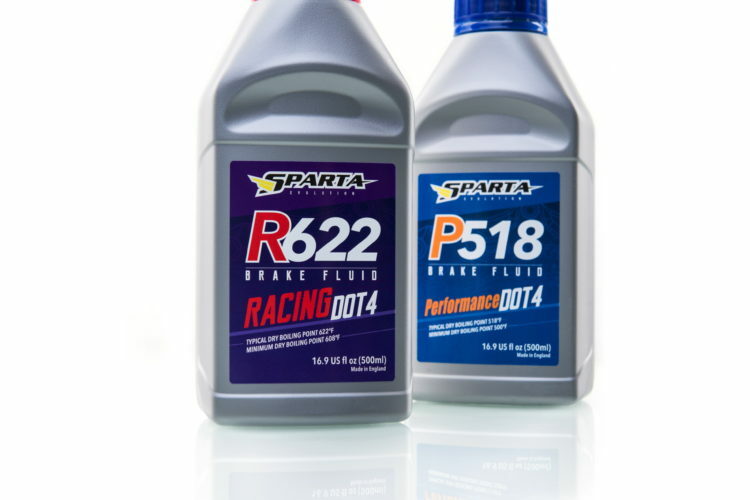 Sparta Evolution DOT4 brake fluid, P518 or R622 – The best brake fluid!